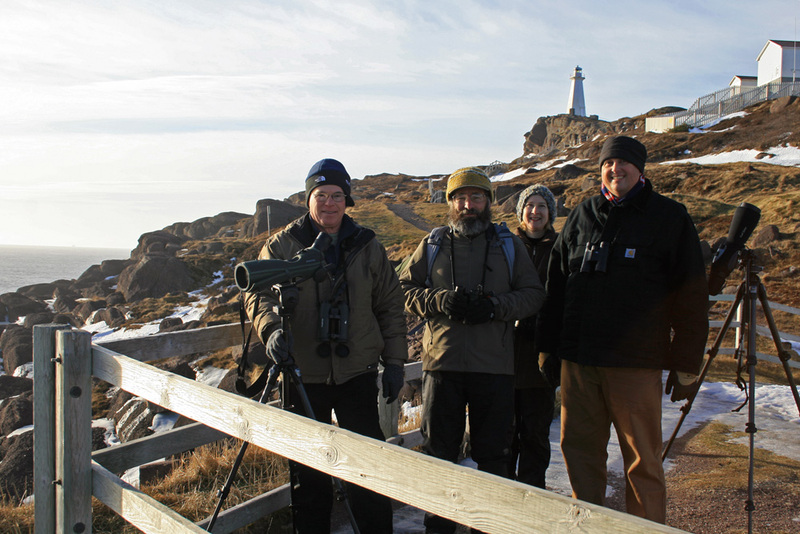 Four enthusiastic birders from across the United States visited St. John’s last week as part of the WINGS winter tour. Here they can be seen at Cape Spear, smiling after scoring great looks at two prime targets – Purple Sandpipers and Dovekie!! It’s become an annual tradition that a group of WINGS tour participants descend on St. John’s in January, excited to get out and enjoy the wonderful birds of “Newfoundland in Winter” (if not the weather!). This year, I had the distinct pleasure of leading four eager visitors on a five-day birding bonanza around the city and parts of the eastern Avalon Peninsula. We started the tour with a bang – heading straight to Ferryland on the very first morning where we were rewarded with amazing looks at a COMMON SNIPE that had been discovered two days earlier. It was just the third confirmed record for the province (including one from Labrador) and eastern North America! 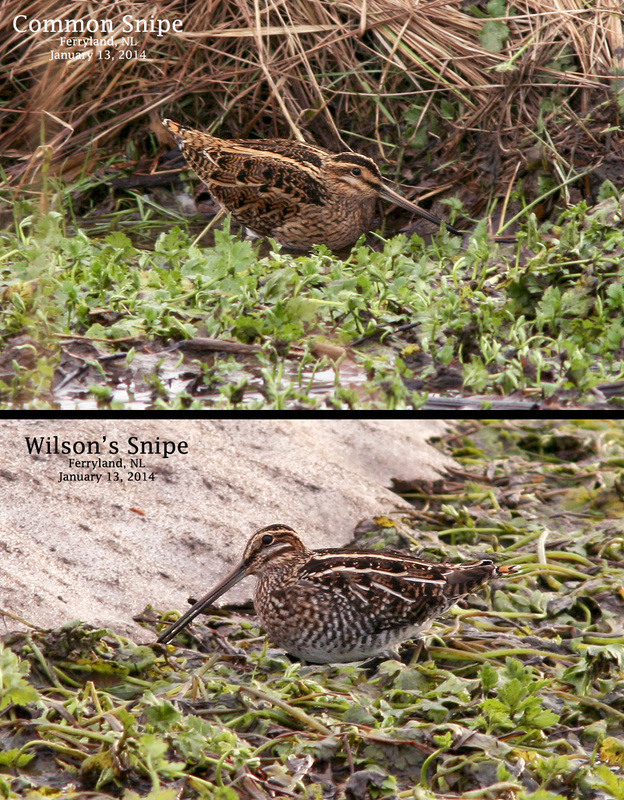 To sweeten the deal even further, a Wilson’s Snipe was also hanging out just a few metres away, allowing for a great comparison of these formerly conspecific cousins. We spent the remainder of the first four days birding in and around St. John’s, enjoying some unusually mild weather and ignoring periods rain, wind and fog. 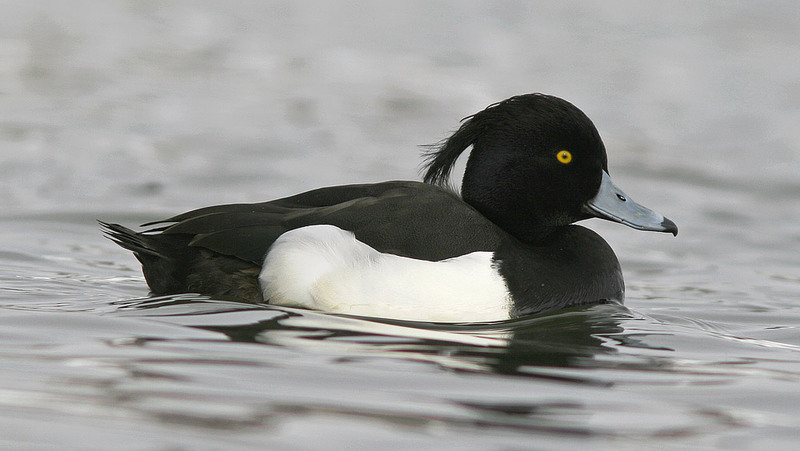 The group’s spirits refused to be dampened as we enjoyed stunning views of great birds, including record-high numbers of Tufted Ducks, both Eurasian & American Wigeon, and some very confiding Great Cormorants. Even a northern River Otter got in on the action, posing for us amidst the quaint scenery of the Quidi Vidi’s famous fishing village. Great, close-up views of thousands of gulls were just part of the fun during this tour. 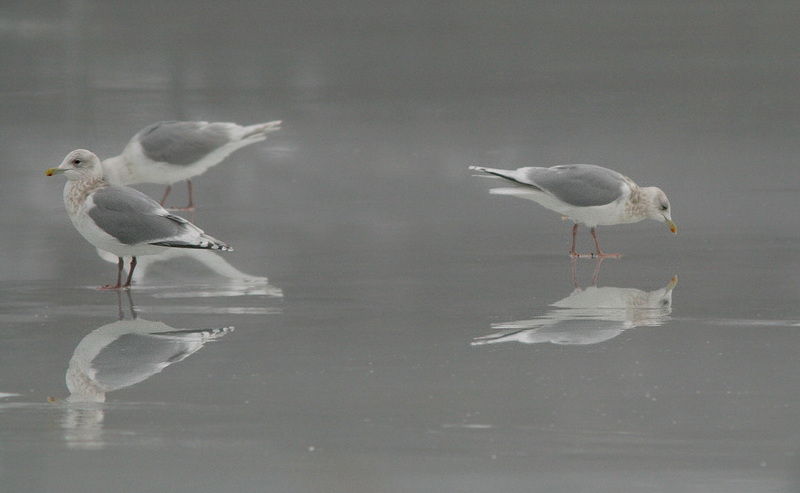 Ten species were seen, including well over 2000 of these stunning “Kumlien’s” Iceland Gulls. 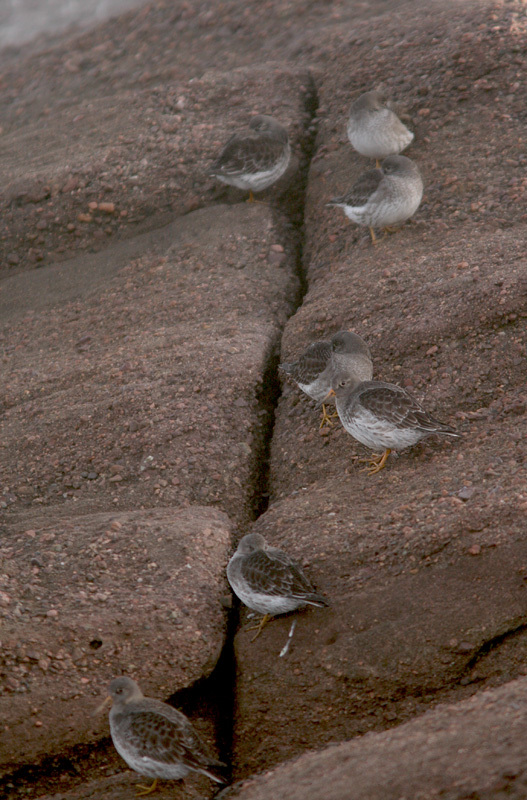 Purple Sandpipers were a prime target for all four participants … and they did not disappoint! Bald Eagles regularly dropped in to show off, while a Northern Goshawk buzzed our heads during a morning walk in Pippy Park. 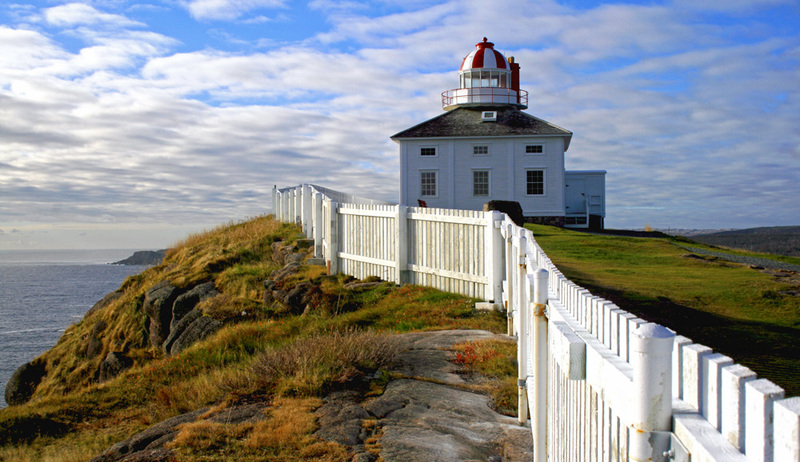 A major highlight of the tour was a visit to Cape Spear, the easternmost point in North America. It was one of the most beautiful January mornings I have ever experienced there, with mild temperatures, light wind and perfectly clear viewing. We were thrilled with killer views of two key targets for the tour – dozens of Purple Sandpipers resting and feeding among the rocks, and eight Dovekie putting on a show in the foamy white water right off the tip!On our fifth & final day, we headed south along the “Irish Loop”, enjoying the amazing scenery, historic communities and many great birds. Long-tailed Ducks, Red-breasted Mergansers and Common Eiders entertained us at several stops, while a female King Eider at Bear Cove was an unexpected highlight for everyone. A family group of five Gray Jays were apparently entertained by us, dropping in along the roadside to check us out. Common & Red-throated Loons and Red-necked Grebes were found in excellent numbers, often in sheltered coves buffeted by stark, beautiful cliffs. And several Boreal Chickadees finally made an appearance, after proving elusive all week. 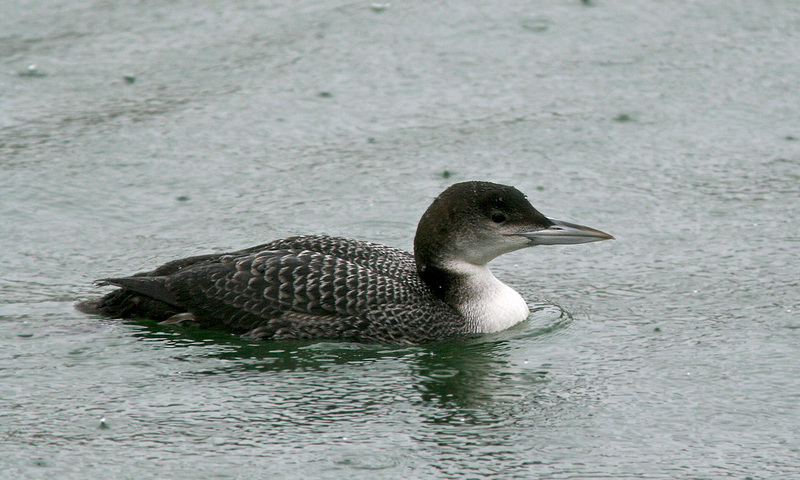 Common Loons winter along the coast of Newfoundland – we saw many of them during our week. 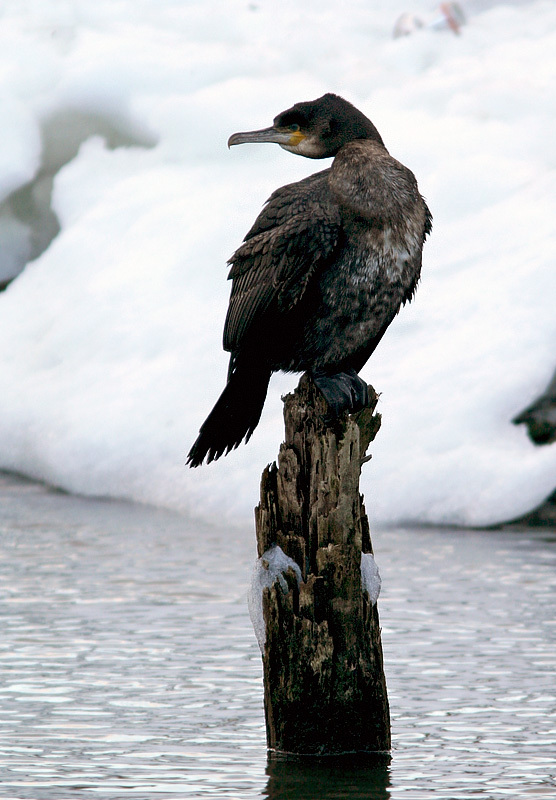 Great Cormorants were seen daily, often at very close range. It was a fantastic week spent enjoying great birds with some great people. And, needless to say, amidst some truly great scenery. This entry was posted in Uncategorized and tagged Newfoundland, St. John's, Tours, WINGS, winter birds. Bookmark the permalink.